This is a combination of a 8 Days wildlife safari in ngorongoro crater and beach holiday in Zanzibar covering the best of Tanzania has to offer. NB: Ngorongoro Rhino Lodge is located on the edge of Ngorongoro Crater rim offering the perfect base to explore the Crater. The location of the lodge allows the passage of many animals inside including buffalo, elephants, birds and other small mammals, the encounters are not uncommon! Optional Tour: Maasai village visit to learn about the Maasai ways of life at USD$ 40 per person. Zanzibar Island beckons you with its picturesque views of romantic dhows with white sails, endless beaches fringed with palms, ancient ruins, exotic spices, and veiled women. The island has a thrilling history, which is reflected today in the architecture, culture and traditions of the Zanzibari people. After breakfast transfer to Stone Town, arrival, start the Stone Town Tour and enjoy the rich heritage of Zanzibar. Rest of the day at leisure – own activities. Overnight at The Seyyida Hotel (BB). Breakfast at your hotel, check out and transfer to Zanzibar International Airport for your outbound flight home. 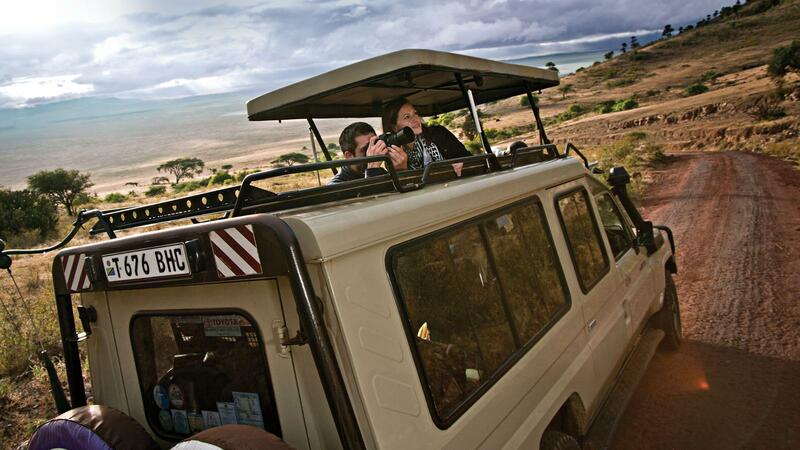 NB: For the months of April and May we offer up to 20% DISCOUNT on this Tanzania Safari! Transport in 4 x 4 safari land cruiser vehicle with roof hutch for game drives.